At EMFLUX MOTORS, our startup based in Bangalore, India, we understand that mankind has only just begun to scratch the surface of the immense potential and opportunities that electric technology presents. Today, Transportation and Mobility employs purely electric power sources for cars and motorcycles alike with companies like Tesla driving and accelerating the world’s transition to electric vehicles, a vision paraphrased from their own eloquent words. We, at our humble workspaces at EMFLUX wholeheartedly believe that this is indeed the path to a clean, bright, and sustainable future. So, we are working hard to build something extraordinary and beautiful – something the likes of which this country has never seen. And we believe that you’re going to love it! So, what are we doing? 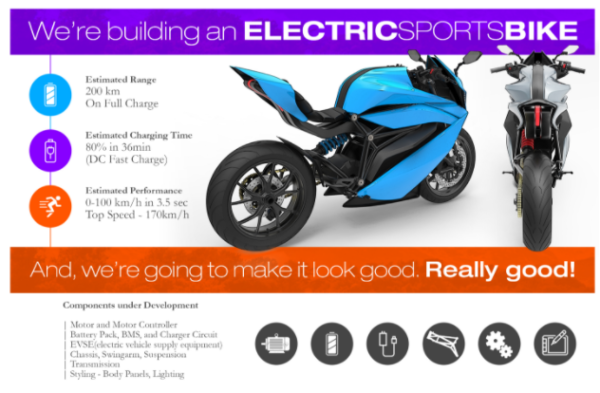 We’re building an electric sports bike, and it’s going to look amazing. EMFLUX MOTORS was founded by CEO Varun Mittal, an IIT Delhi alumnus with a passion for electronics, robotics, and of course, fast motorcycles. After winning Robocon India 2007, he went on to be part of two $100m+ B2C startups, Jumia and Jugnoo as vertical head, and the founder core member, respectively. He was joined by his Jugnoo colleagues Ankit Khatry and Gulshan Sharma in founding his dream company. 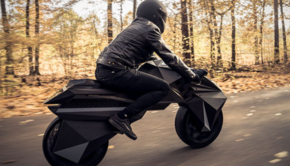 A couple of months later, his core team was strengthened by the addition of Vinay Raj Somashekar, a national level design competition winner (SIAM 2014), and ex-TVS Motorcycle Designer. 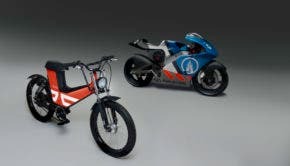 These renegades, along with over 12 other passionate and talented engineers and designers from different disciplines now form the base upon which the future of this company’s history and that of India’s electric vehicle segment will be written. Emflux Motors has raised an undisclosed amount of funding in its seed round in September 2016. Investors who participated in the round were IIT and IIM Alumni. We are also looking to close the next round of funding to strengthen our team and develop technologies at a faster pace, and eventually to be a dominant player in this market. We strive to deliver sensational and aspirational products that will incite a lingering public interest in electric technology and put us at the forefront of the performance electric vehicle segment in India.